Strategic Information Resources’ Consumer Lending Summit is pleased to present a compelling and inspirational day of events on Tuesday, May 22, 2018, at the beautiful Sturbridge Host Hotel in historic and convenient Sturbridge, Mass. Join us as we open the Third Annual Consumer Lending Summit. The consumer, a key driver of the U.S. economy, is spending again and tapping into different types of credit. The rapid growth of online lenders, expansion of digitally enabled lending technologies (e.g. point of sale solutions at the home or online), and growth in lending to subprime borrowers are all catalysts for the rise in demand. Total consumer borrowing is reaching new heights. The increase in demand for consumer credit in the U.S. is the result of three factors influencing the economy. And in this opening keynote session, we’ll hear from Alexander Koles, CEO and Founder of Evolve Capital Partners, on the factors that are key to expansion and further growth in the consumer lending segment. Customer choice has never been broader or more disruptive to the banking industry, and customer experience has never been more important. In this session we will explore the implications that increased consumer choice for loans has on your community bank and how a renewed focus on customer experience can help you successfully compete in this ever-crowded space. Presented by Mary Ellen Georgas-Tellefsen, Managing Director, of Capital Performance Group, a Washington, D.C.-based top banking consultancy. Takeaways for attendees will include up-to-date industry trends research and perspectives on best practices for consumer lending. There’s a powerful demographic “tectonic” shift underway in consumer lending that most community banks and credit unions are not aware of that is requiring all lenders to rethink their outreach strategies. We have all heard the statistics that Millennials make up approximately 35% of all first-time homebuyers. GET READY, Millennials will soon exceed 50% of the market. The old “business as usual” strategies will no longer work. Those that have recognized this shift and are capitalizing upon it are realizing tremendous advantages over the “business as usual” crowd. In this session come hear David Lykken, a leading business strategy consultant to many of the top lenders in the nation, talk about breakthrough strategies to capitalize on the latest market trends. David is the Founder & Chief Transformational Officer of Transformational Mortgage Solutions, a 44-year industry veteran and has been an owner-operator of three mortgage banking companies, a software company and several leading consulting firms. He is a frequent guest on FOX Business News and hosts his own weekly podcast called “Lykken On Lending” heard Monday’s at 1 pm ET at www.LykkenOnLending.com. Join us for an elegant luncheon, and an opportunity for networking and business-building with our exhibitors and sponsors. Highlight the day with an insightful look at what’s developing across the business landscape. Craig Dismuke joined Vining Sparks in August 2007 in the Investment Strategies Department. In 2009, he took over the responsibility of projecting Vining Sparks’ economic and interest rate outlooks. Craig speaks often at industry conferences on the health of the U.S. economy, expectations for interest rates, and fixed income strategies. He is a frequent guest on CNBC, Fox Business, and Bloomberg TV as well as being quoted often in the financial news. Prior to joining Vining Sparks, Craig was a Managing Director in Institutional Fixed Income at Bear Stearns and Company. He earned his Bachelor’s Degree from Union University and his Master’s Degree from the University of Memphis. He is a member of the Economic Club of Memphis and is a guest lecturer at Rhodes College. Craig is also actively involved with St. Jude Children’s Research Hospital. We’ll take a look with experts from Strategic Information Resources at recent credit industry trends and changes that will impact your consumer lending decisions and initiatives. Alternative lenders and fintech startups have changed the consumer lending game, improving the borrower experience to meet heightened customer expectations for convenience, speed and transparency. More frequently, consumers are seeking funding from online lenders due to the fast, seamless and oftentimes, paperless loan application process. The application process typically takes less than 30 minutes, sometimes as fast as five minutes. Most online lenders have also designed their systems to fund approved loans within a few days and for the most basic credit requests, funds can be disbursed within 24 hours. Comparatively, consumers who apply for loans at traditional financial institutions cite frustrations with the “difficult application process” and “long wait for a credit decision,” according to the Federal Reserve. In this session, John M. Deignan, president and CEO of Baker Hill, will address how traditional financial institutions, such as community banks, can succeed in the consumer lending space despite increased competition from new and emerging players. Deignan will discuss how financial institutions can optimize the consumer lending process from end-to-end to offer a level of speed and convenience previously reserved for alternative lenders. He will explain to attendees how offering an online loan application is no longer sufficient to remain competitive. Instead, attendees will learn how to truly streamline the application process by incorporating policy and process changes that align with technology. Additional streamlining can be realized by minimizing manual data entry as well as digitizing back-end processes that slow decisioning and disbursement of funds. Deignan will also discuss ways to boost transparency within the lending process. Thank you to all of our attendees, speakers and sponsors. 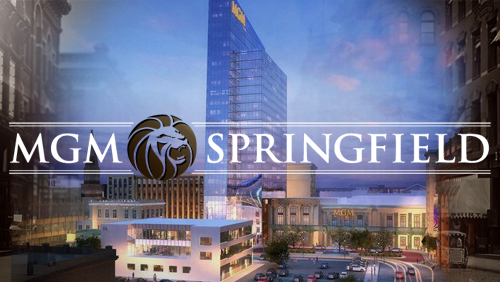 March 28 | MGM Springfield, Mass. Strategic Information Resources welcomes you to the Consumer Lending Summit, where financial professionals from banks, credit unions and mortgage companies gather for top strategies and trends for growing consumer financial products and services.